Today is an especially sad day, and I am shedding tears as I write this note. I just heard the news. You will forever be missed Guru!! I humbly owe you many years of inspiration and happiness. As you once coined the phrase, “It’s Mostly Tha Voice”, yesterday, the voice has gone silent. Rest in Peace dear friend. Here is the track. It’s Mostly Tha Voice. This intergalactic gangsta rap now has a whole new flava in this Special Edition. 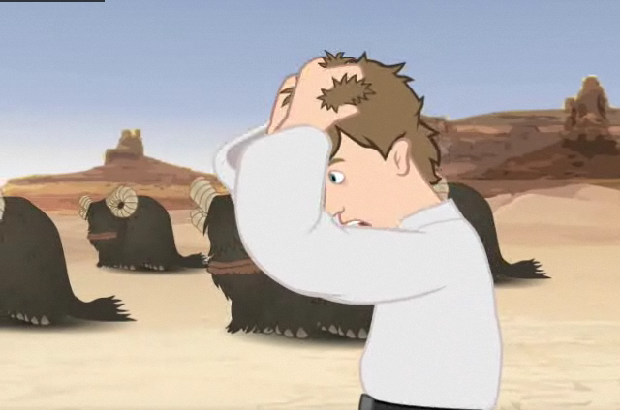 This remake by the guys from Bent TV features all new and improved animation that could blow away a Death Star.